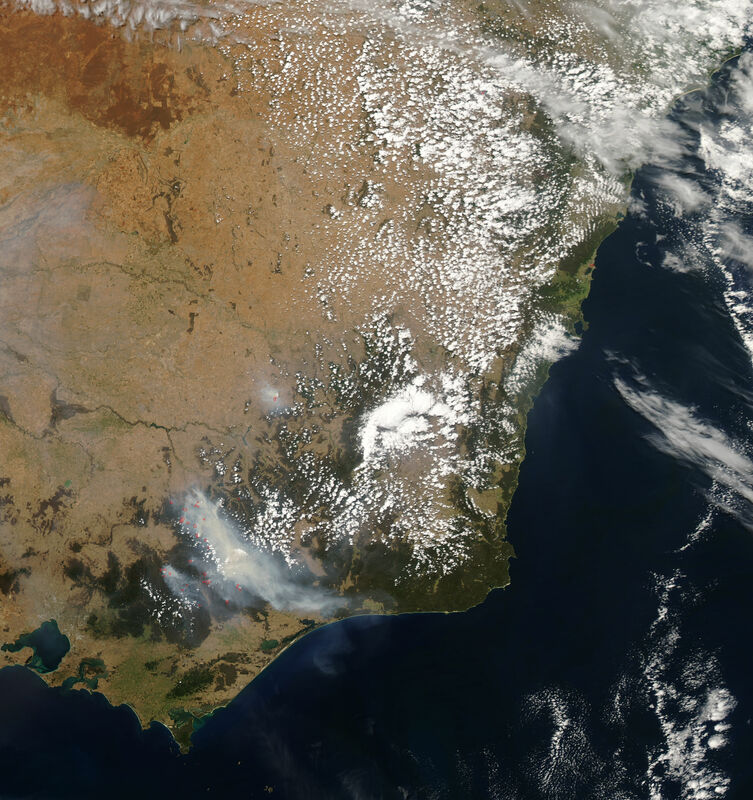 Fires burned across many regions of Australia throughout late spring 2006, including Western Australia, southern Queensland, Cape York Peninsula, and New South Wales. (See other events in the Natural Hazards: Fires section for additional images.) On December 4, Victoria joined the group. This image shows dozens of fires (marked in red) burning in the southern Great Dividing Range Mountains (Barry Range) northeast of Melbourne. Gray-brown smoke hangs over the region between Lake Eildon and the town of Bright to the northeast. The image was captured by the Moderate Resolution Imaging Spectroradiometer (MODIS) on NASA’s Aqua satellite. The high-resolution image provided above has a spatial resolution of 250 meters per pixel. The MODIS Rapid Response System provides twice-daily images of Southeast Australia in additional resolutions and formats. 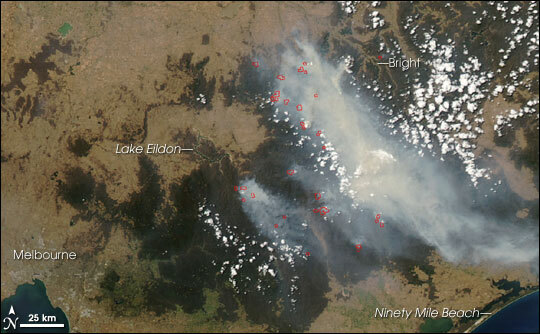 In Victoria, bushfires that began in early December 2006 were still burning in 2007. This image shows the burning area on January 16, 2007.